Come off the M3 at junction 7, Take the Basingstoke Road for approx.. 200yds, turn left at the traffic lights. After approx.. 200yds turn right, signposted Oakley. This is a single track road with plenty of passing places. 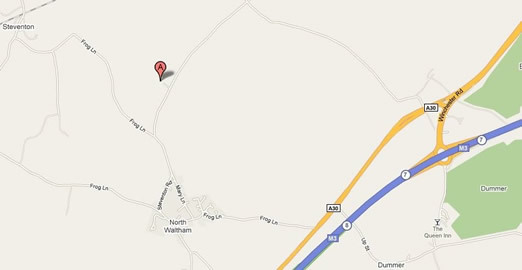 After appox.. 1mile turn left, signposted to North Waltham (another single track lane). Entrance to Willowdown Farm is appox.. 1/2 mile on the right.